Beautiful and elegant this is the Halette Vest Top from Numph. 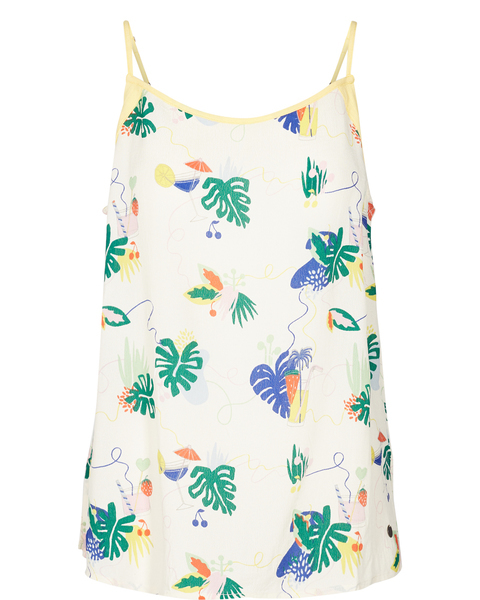 Bold and fun print on a soft crepe-like fabric this top is a winner! Adjustable spaghetti-straps in yellow that defies the neckline. small splits at either side allow it to sit at the hips easily. Wash warm with similar colours and a mild detergent. Follow full care instructions on label.